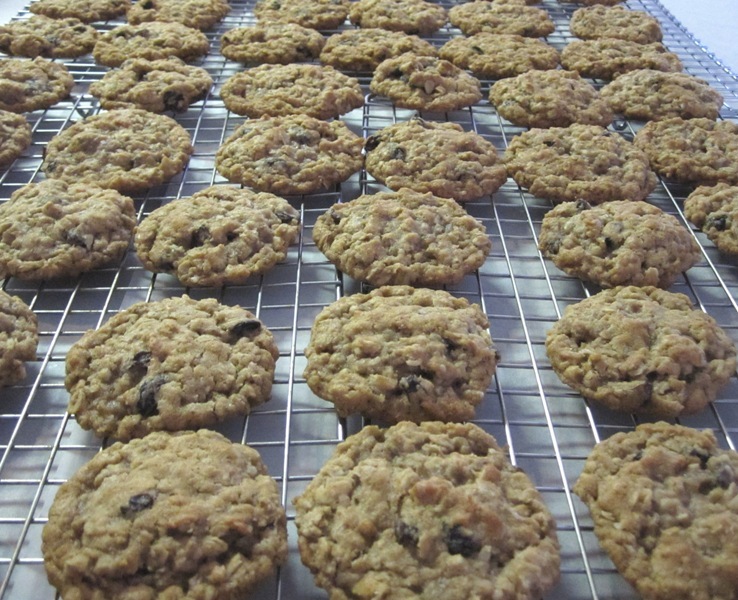 Oatmeal Raisin Spice Cookies | Rosetta Bakes! In a large bowl cream butter, shortening, brown sugar, sugar, eggs, corn syrup, water and vanilla; beat well. In a separate bowl combine flour, cinnamon, baking soda, salt, nutmeg and ginger; add to sugar mixture. Beat well, then stir in oatmeal and raisins. Bake 15 minutes or until edges start to brown. Cool slightly on the baking sheet before transferring to wire racks.